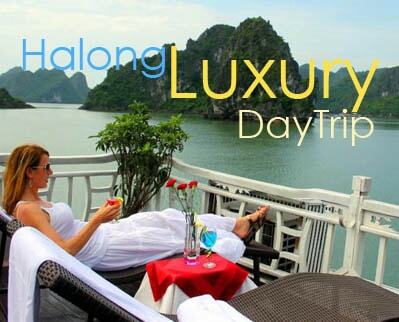 Dalat has been famous for its peaceful tranquility and a truly amazing place to spend time staying for days in order to enjoy enough attractive destination for holidays. Being well known as the paradise of flowers, tourists are also be appealed by its gorgeous travelling places on land and especially on lake. If Xuan Huong Lake is so familiar and easy to reach, Tuyen Lam Lake is another masterpiece of the nature combining the beauty of the green forest together with the beautiful silence of the lake. However, having to say, without the existence of Truc Lam Monastery, this lake cannot be one hundred percent wonderful. To reach there, by using boat to sail, tourists can have another choice which is to take a cable car from the Robin Hill and enjoy one of the most charming landscape ever! 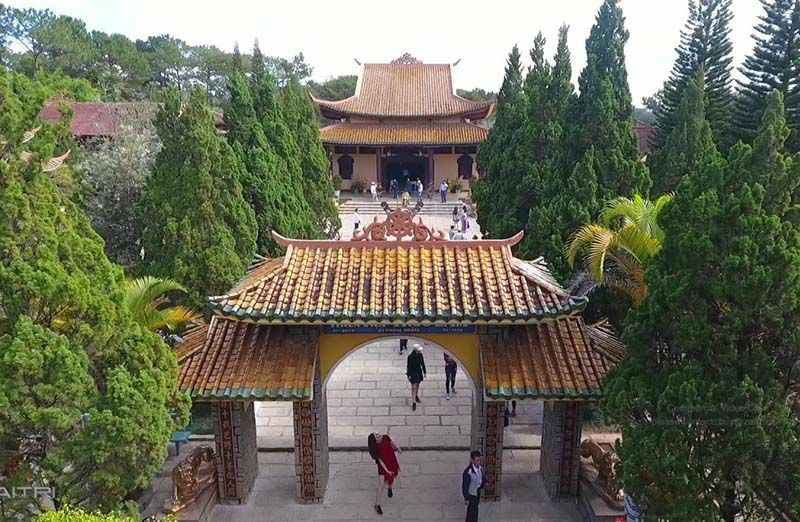 For a city that takes property development at a snail’s pace, Dalat’s prominent cable car Robin Hill to Truc Lam Monastery is a relatively modern investment. The cable car is VND 50,000 for a single ride and VND 70,000 for a round trip, with 2.4 km covered each way. Dalat cable cars – watching the city from the sky, which is located on the Robin Hill at an elevation of 1.517 m above sea level, is a 2.267-meter construction “in the air” in the south west crossing mountainous area of extent endlessly pine-tree forests to Truc Lam Zen Monastery built in Phoenix mountain at an altitude of 1.490 meters. Cable car system which was begun in 3rd February 2002 and inaugurated in 24 th January 2003 and officially put in operation in 1 st February 2003 was designed and installed by Doppelmayr Inc. (Switzerland and Italy). The system with 50 automatically cabins has a capacity of 900 participation per hour. Therefore, visitors can take pleasure in impressive mountains and pine forests in the Highlands, or fly above immense pine forests to breathe cool fresh air of Dalat city. It is a 4-kilometre cable car. Just imagine on a clear day you’ll be able to see farmland, greenhouses, lakes and distant mountains, you would feel totally comfortable using the cable car as your means of transportation there. 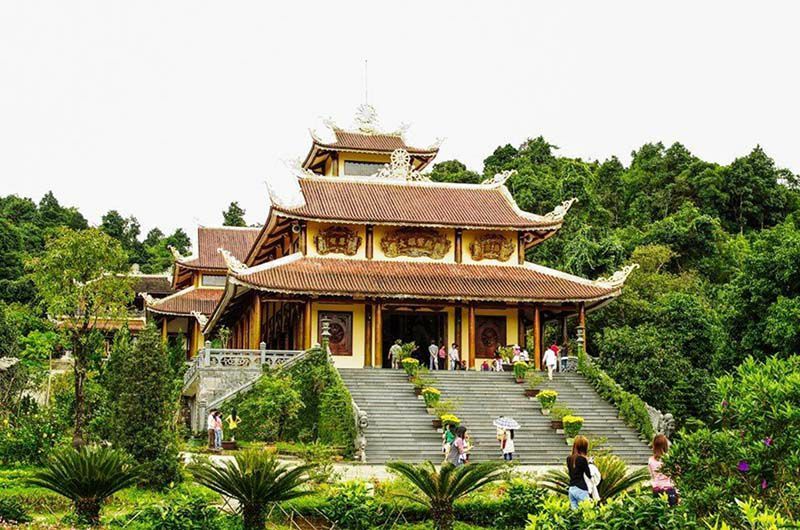 The cable car connects Robin Hill, which has the usual cafe and souvenir shop, to Truc Lam Pagoda and Tuyen Lam Lake – both are definitely worth the visit. 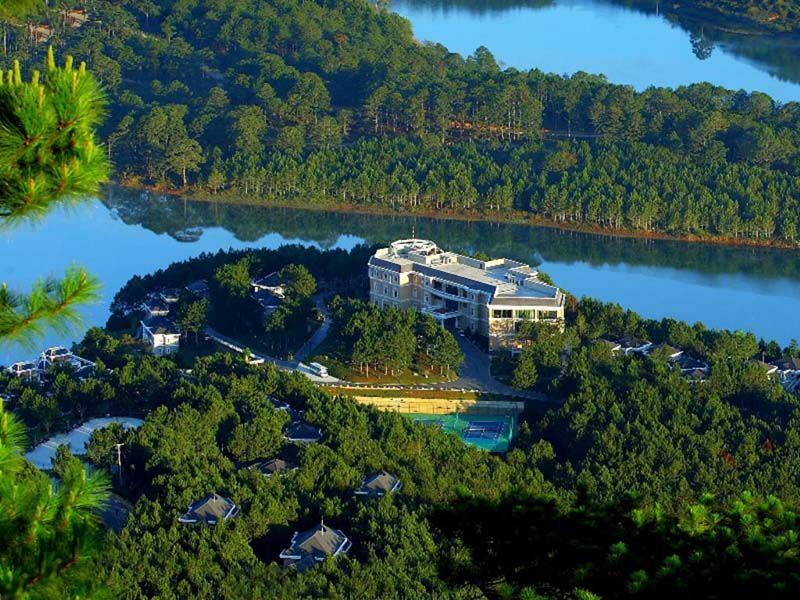 Robin Hill is three kilometres south of Xuan Huong lake and should be a cheap, quick taxi ride, or book a day tour Dalat city to have relax time on cable car on Robin hill. The cable car itself is modern, well-serviced and quite safe. An attendant ushers you in and the doors close automatically as you descend down amongst pines. As your car slides down the cable, roosters crow below, patchwork farms stretch along the countryside and mountains fold atop one another in the far distance. However, be careful with your cell phone when you stick it out the small window to take some amazing photos. You don’t want to lose you phone at such right time when the natural scenery is extraordinary like that. Besides, tourists might try tasting Dalat food at the cable car station and have vegetarian meals at Truc Lam Zen Monastry – Tuyen Lam Lake; especially at night, Dalat cable car serves visitors with a program “Café in Cable cars”. Dalat cable cars have contributed to Dalat charming beauty, known as “a city of flowers and leaves”. Travelling to Dalat is considered a gradually increasing trend instead of visiting those places in the big cities so long. The time Dalat is the most beautiful is when people can harmonize with nature and have a peaceful mind relaxing completely. With the help of modern life of people, tourists can even get closer to the nature life, just like what those cable cars in Robin Hill have helped them.